Play golf on unusual grounds. 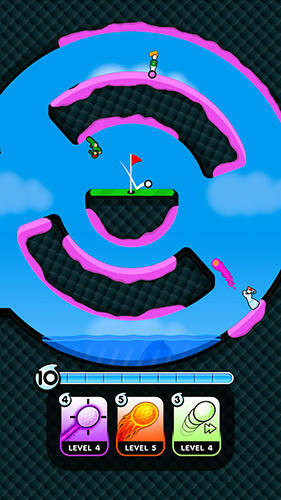 Control a golf player, calculate force of each ball hit, take the ball to holes and get prizes. 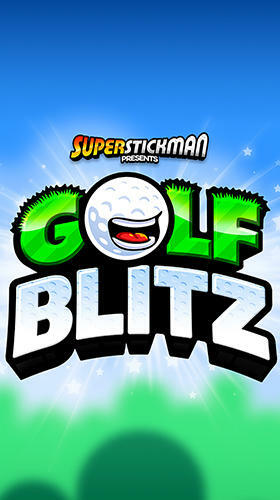 Take part in golf competitons and defeat numerous opponents in this Android game. 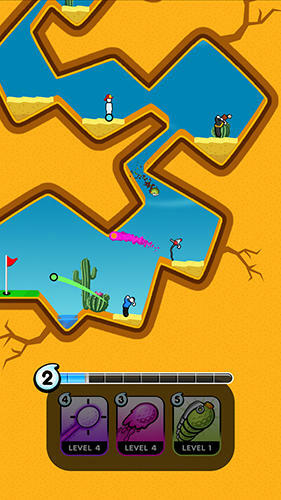 You will find many golf fields with various obstacles, traps and challenges waiting for you there. 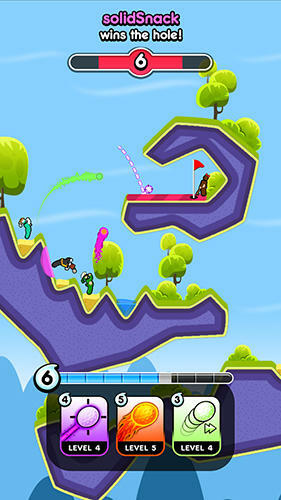 Touch the screen to decide force and trajectory of a hit. 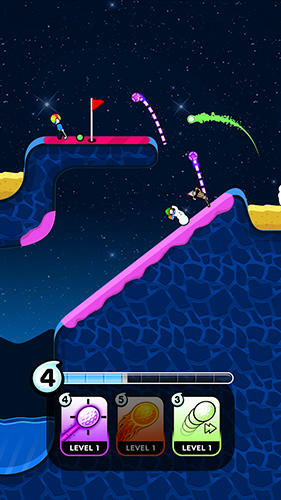 The ball will bounce walls and other objects. 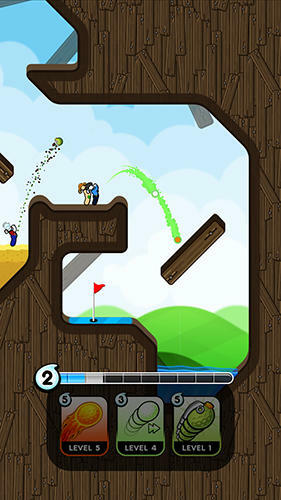 Make use of this feature to take the ball to the hole. Buy suits and hats for the character.